Reposting this as a reminder that I’ve thrown a blog bat around out there! And because I had my first responder! Ryan, from “this card is cool” posted his idea for Lost Cards. Ryan lives in Japan and has an interest in Japanese cards – and his post involved that. Ryan walked through various Japanese players who have had very notable accomplishments – threw a no-hitter, elected to the Hall of Fame – but don’t have a baseball card to their credit. Even in America’s baseball Hall of Fame – a few HOFers don’t exactly have loads of cardboard. Quite a few of professional baseball’s pioneers didn’t have cards. Deacon White, elected last year, didn’t have a card until 2011 (now he has one in Obak and Upper Deck’s Goodwin Champions). Ross Barnes isn’t a Hall of Famer, But he was baseball’s best hitter in 1876, when the National League was formed to be the first season recognized as “Major League Baseball”. Anyways, thanks Ryan for a great read – I learned quite a bit about Japanese baseball cards – and who does or doesn’t have them! ******UPDATE – Here’s another post from the Diamond King with a great take on it, and a custom card of Al Bumbry to boot! Also, John from the blog Cards that Never Were is currently doing a series on his blog that is a variation of the posts I’m doing for this – cards from the year after a player retired. I’m going through year by year and determining if the “best player” had a card or not. John is actually taking 30 players who didn’t have a card (as posted on an SCD article) – and creating his own custom cards. So I’d encourage you to check his blog out, too – the customs are impressive as always! Below is the my description for this blog bat around – feel free to write about it, and drop me a line if you’ve done so! I’ll continue my posts on a player’s “final card” starting back up on Sunday. Feel free to go any direction you want with this. 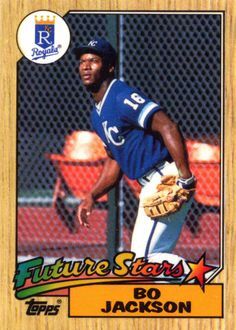 Was there a rookie card that came out later than others? Was there a player who played just one year for a team but didn’t get a card in a certain set? 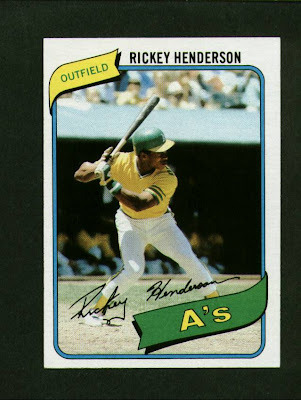 Was there a subset of cards – or even an entire set – that you wish had never been discontinued? It doesn’t have to be a base set card, it could be an insert, or an autograph / relic card that hasn’t been made yet. It doesn’t have to be baseball. Heck, it could be a full set that went away or was never produced. Anything that you choose – just give us some insight as to why that’s the card or card(s) you’re thinking of. Sorry for the slow posting, but I just posted a Bat Around post. Thanks for getting this going!